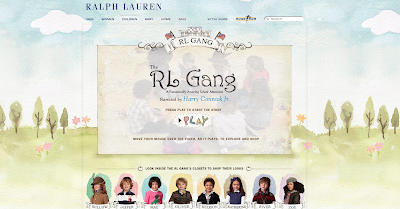 The Really Kid Friendly Blog: Gorgeous website by RL makes for a wonderful shopping experience! 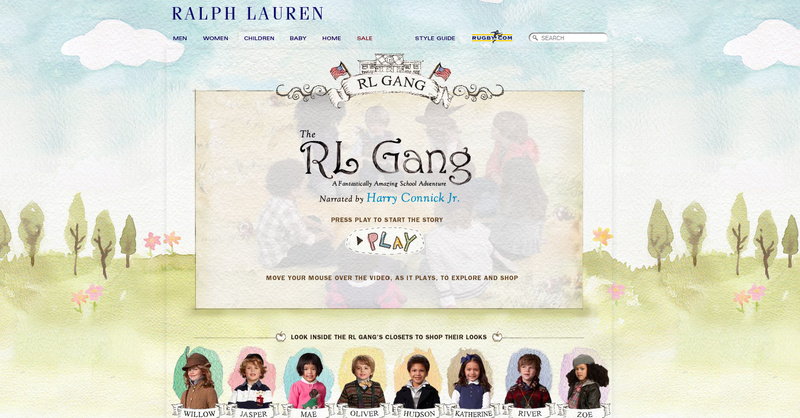 Creative storytelling and stunningly beautiful web design makes for a wonderful shopping experience on the Ralph Lauren website. 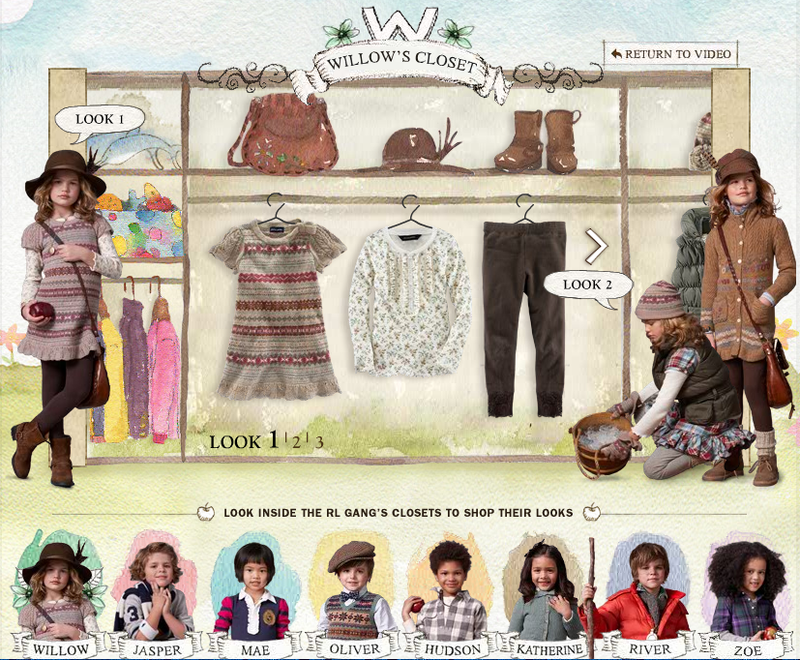 Rather than the standard online clothing shop format, RL invites you into a charming picture book with watercolour illustrations, narrated by Harry Connick Jr (ahh...). Through some sort of web design magic, there are photos and video clips woven into the watercolour paintings, with gorgeous children running around in even more gorgeous clothes. 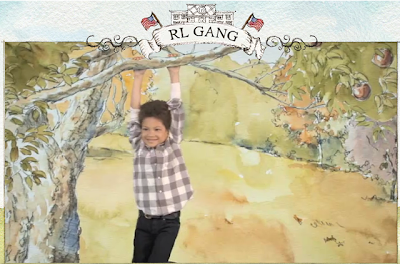 In terms of showing off RL's new collection, it does a better job than any fashion show, and you will feel compelled to click on the members of the RL Gang to look through their wardrobes. We definitely recommend a look around the site, if only to enjoy the experience and wonder how the children manage to run around picking apples and not get scrapes on their knees and leaves in their hair. We should warn you that some of the prices listed on the site will make your eyes water... saying that, there are some really lovely, and affordable, baby clothes and children's clothing in the sale. Perfect for a christening present or a friend's new baby.